Three new letters of reference are required for certain categories of former University employees being rehired by the University. 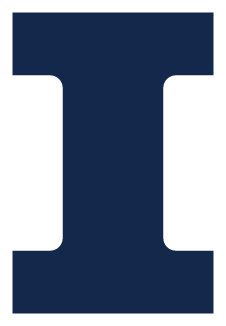 When a former employee of the University of Illinois at Urbana-Champaign is being rehired after a break in employment with the Urbana-Champaign Campus, three new references must be submitted for (1) all appointments involving indefinite tenure (e.g., associate and full professor) and (2) all non-tenured academic appointments (e.g., instructor, assistant professor, and academic/professional) in which the appointee’s break in employment has been more than two years. Reference letters or notes taken during a telephone reference check are acceptable. In the case of former visiting academic staff members who are being rehired in a visiting appointment, three new references are required only if the break in employment has been more than four years. Exceptions may be made for brief and temporary (e.g., one or two months) appointments when the appointee has not been employed at the Urbana-Champaign campus for more than four years. In the case of former Urbana-Champaign graduate assistants who are being appointed to an academic (faculty or professional) position, three references and a personal history and professional experience form must be submitted in accordance with regular appointment procedures. This is necessary because assistantship recommendations are not maintained centrally. New references are NOT required for a continuing employee whose job and/or title is being changed. As stated above, notes taken during a telephone reference check are acceptable in lieu of a reference letter. Questions about when new references are required for academic appointments should be directed to the Office of Academic Human Resources, (217) 333-6747.